In this ambitious debut novel, fact and fiction blend together brilliantly. While scholars have largely relegated Mamah to a footnote in the life of America's greatest architect, author Nancy Horan gives full weight to their dramatic love story and illuminates Cheney's profound influence on Wright. Drawing on years of research, Horan weaves little-known facts into a compelling narrative, vividly portraying the conflicts and struggles of a woman forced to choose between the roles of mother, wife, lover, and intellectual. Horan's Mamah is a woman seeking to find her own place, her own creative calling in the world. Mamah's is an unforgettable journey marked by choices that reshape her notions of love and responsibility, leading inexorably ultimately lead to this novel's stunning conclusion. BONUS: This edition includes an excerpt from Nancy Horan's Under the Wide and Starry Sky. 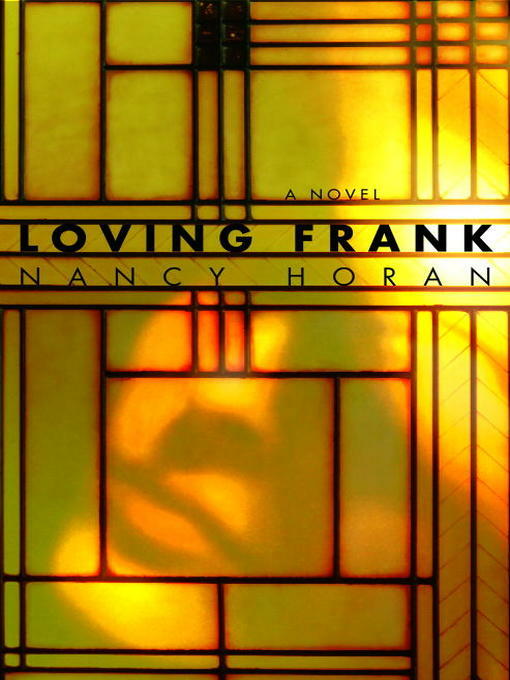 "Loving Frank is one of those novels that takes over your life. It's mesmerizing and fascinating–filled with complex characters, deep passions, tactile descriptions of astonishing architecture, and the colorful immediacy of daily life a hundred years ago–all gathered into a story that unfolds with riveting urgency." "This graceful, assured first novel tells the remarkable story of the long-lived affair between Frank Lloyd Wright, a passionate and impossible figure, and Mamah Cheney, a married woman whom Wright beguiled and led beyond the restraint of convention. It is engrossing, provocative reading." "It takes great courage to write a novel about historical people, and in particular to give voice to someone as mythic as Frank Lloyd Wright. This beautifully written novel about Mamah Cheney and Frank Lloyd Wright's love affair is vivid and intelligent, unsentimental and compassionate." "I admire this novel, adore this novel, for so many reasons: The intelligence and lyricism of the prose. The attention to period detail. The epic proportions of this most fascinating love story. Mamah Cheney has been in my head and heart and soul since reading this book; I doubt she' ll ever leave."